This is a new assessment of the work of the twentieth century's best-known public theologian. Reinhold Niebuhr's ability to make sense of international politics, racial tension, labour unrest, and cultural transformations gained him a wide audience, but his responsiveness to changing times was grounded in a remarkably consistent theology. 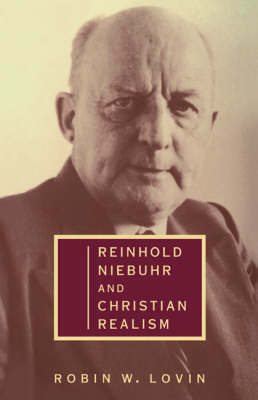 Today, Christian realism remains an important way to understand politics and society in theological terms, but the enduring themes of Niebuhr's work must also be related to new generations of thinkers in theology, politics, law, and philosophy. Robin W. Lovin traces its key themes so as to identify the political, moral, and theological realisms on which Niebuhr's persuasive and subtle depiction of human nature rests. In that context, a complex, dialectical, Niebuhrian approach still appears as a vital and lively alternative to the oversimplified accounts of politics and justice that have dominated recent decades.